To activate the EOS mainnet wallet, ensure you are using Exodus version 1.63.0 or higher. 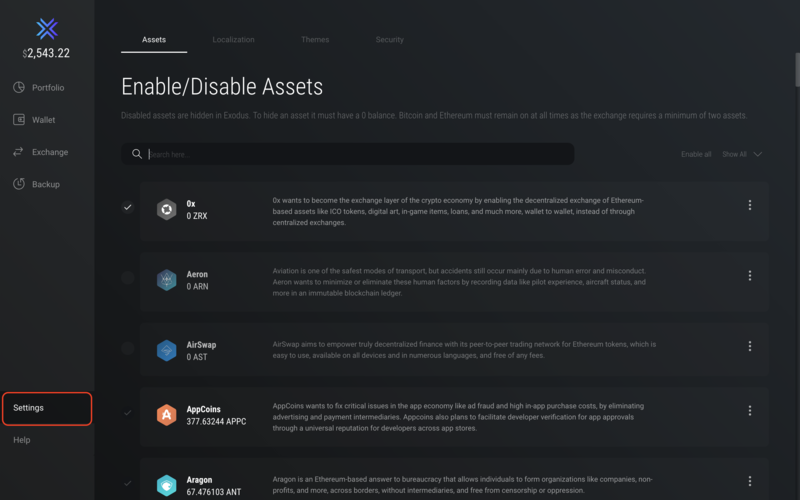 If you are using an older version of Exodus, please upgrade to the latest version for automatic activation of your EOS Mainnet wallet. 3. Click the checkbox next to the EOS wallet. 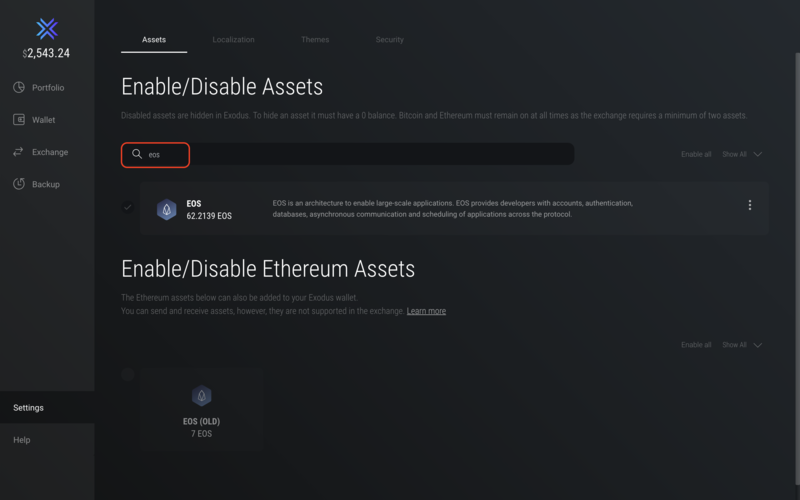 While you're at it, you can also disable (deselect) the EOS (OLD) ERC20 wallet to remove the balance from your portfolio.